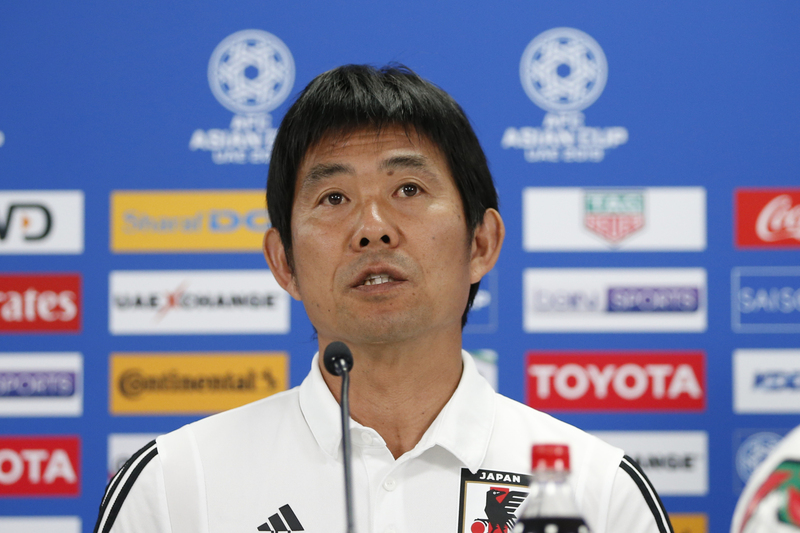 ABU DHABI - Japan must lay everything on the line against Qatar in the Asian Cup final, head coach Hajime Moriyasu said Thursday, on the eve of the tournament decider. The Samurai Blue are aiming to extend their record number of continental titles to five at Zayed Sports City Stadium on Friday, but they must overcome a high-octane Qatar side whose victims include one of the tournament favorites. Prior to thrashing hosts the United Arab Emirates 4-0 in the semifinals, the Maroons, coached by Spaniard Felix Sanchez, shocked heavyweight South Korea with a 1-0 upset in the round of eight. Japan, meanwhile, gave multiple underwhelming performances before finally turning it on in a 3-0 rout of last-four opponent Iran, which had been favored by bookmakers to win the tournament. Moriyasu said Japan, the heavy favorite, would not underestimate first-time finalist Qatar, which has yet to concede a goal while scoring a tournament-leading 16 on the way to the final. “You have to respect your opponent, understand your opponent, and use everything you have,” Moriyasu said at the pre-match news conference. With a victory, Moriyasu would become the first man to win the Asian Cup as both a head coach and player, having been a member of Japan’s victorious 1992 squad. He also stands to become the first Japanese manager to win the title, with the Samurai Blue having captured all four of their previous championships with a foreigner at the helm. 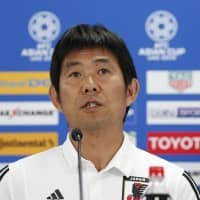 The former Sanfrecce Hiroshima boss said his team had steadily improved throughout the tournament, and was now primed to complete an unbeaten run to the title. “Qatar are very strong, but we have been building in confidence on our way to the final,” Moriyasu said. Japan may be without first-choice defensive midfielder Wataru Endo as it tries to contain a Qatari attack featuring golden boot leader Almoez Ali. Endo has been receiving treatment for an injured left thigh after leaving the pitch in the 60th minute of the semifinal on Monday. Should the Sint-Truiden holder be unable to play, Al Ain defender Tsukasa Shiotani is likely to get his first start since Japan’s 2-1 win over Uzbekistan in the group stage. Japan captain Maya Yoshida said his team would be looking to uphold the spirit of fair play after both semifinals were marred by confrontations. “This tournament is watched by people around the world. We’re representing Asia, so we want to show fair play in the match with Qatar,” the Southampton defender said.